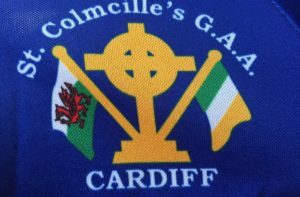 The mens senior football team made it two wins from their first three games by overcoming Western Gaels of Bristol in St Mary’s RFC on Saturday 1st July. 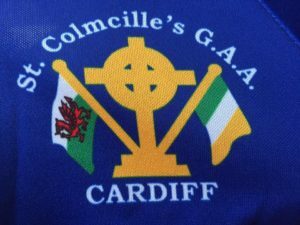 Despite being without key players like Johnny Murray, David Tack Quinn, Des Foley, Jimmy Knowles and a number of others, St Colmcilles put Western Gaels to the sword with a confident and dominant performance. St Colmcilles welcomed back the Ballyhogue Bomber Martin Doyle who started at full back and was as assured as ever snuffing out attacks and providing a great platform to launch attacks with his great distribution. Cardiff started well and found themselves taking the lead after some great work from Ciaran Slevin and Dan McCool provided a shooting opportunity for Kieran Maguire who slotted over with ease. Alan Burns added to the opening score to leave Cardiff 2 points ahead before Western Gaels responded with 2 points of their own. Daire Foley and Richie “The Postman” Murphy (because he always delivers) kept things very tight at the back and ensured that Western Gaels opportunities were are a premium. Cardiff captain Dan McCool added 2 further points before Western Gaels responded with a well worked move from a line ball which resulted in a point, swiftly followed by a free from 30 yards out to level the game yet again. Dan Corrigan, who worked tirelessly throughout, combined with Ciaran Monaghan before finding Ciaran Slevin who beat two defenders for pace before taking an excellent score to nudge St Colmcilles back in front. From the resulting kick out, some great work by Amin Dadger created yet another chance which was converted by Kieran Maguire. Maguire again featured, connecting sweetly with a 45 from a tight angle to keep the scoreboard ticking over after great work from Brian Gormley who put pressure on the Western Gaels defence to force the placed ball opportunity. Western Gaels then had a period of dominance during which they scored a few points to put them in front with half time approaching. Midfielder Kevin Smyth then made a great run and was found by Cardiff goalkeeper Aidan Farrelly from a kick out from which he proceeded to eat up the space in front of him, beating a defender before taking a great point to send the teams in level 8 points apiece at half time. The sun was beating down in Bristol and conditions were hot and humid as the teams took to the field for the second half after getting some fluids on board. The Cardiff lads were slightly less pastie after 30 minutes of football in the Bristol sunshine. Cardiff started brightly with Ollie Harney marshalling things from centre back and delivering a great ball into veteran full forward Barry McDonnell who combined with Alan Burns at corner forward to create a scoring opportunity for Ciaran Slevin to double his tally for the day. Both teams traded points as Dan McCool got his third point of the afternoon after some good work from Brian Gormley. Cardiff remained steadfast in defence as the full back line of Daire Foley, Martin Doyle and Richie Murphy were tenacious in the tackle and made life very difficult for the Western Gaels attackers who were limited to a couple of points from frees in the second half. Kieran Maguire added 4 more points as Cardiff took control of the game in the latter stages stretching their lead to 4 points. Full back Martin Doyle was efficient in possession as he worked his way up the field in the final minutes to get on the end of a great move and was unfortunate as his shot missed the target. It mattered little as referee Paul McNicholas blew for full time to give Cardiff their second win in a row after their defeat of Brighton/Crawley Gaels last month. Manager Marty Dolan will be pleased with the team’s performance in what was an entertaining game with some great football played. 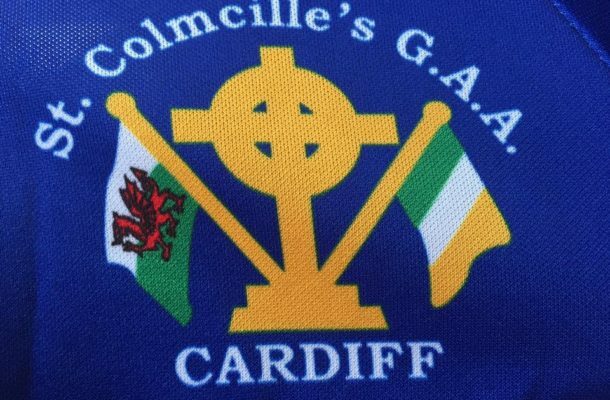 It must be noted that some of the players in their debut season ( Daire Foley, Richie Murphy, Brian Gormley, Kieran Maguire and Alan Burns) with St Colmcilles have had a very positive impact on the team and the club as a whole. Team spirit is high and the morale in the club is great. A special thank you to county secretary Paul McNicholas for refereeing the game on the day also. St Colmcilles will now focus on their next League game against St Nick’s on the 22nd of July. Subs: Sean Hughes, Cathal Garvey.